Celebrate your graduation with family and friends and look forward to the future. Find out the dates of graduation ceremonies happening this summer. 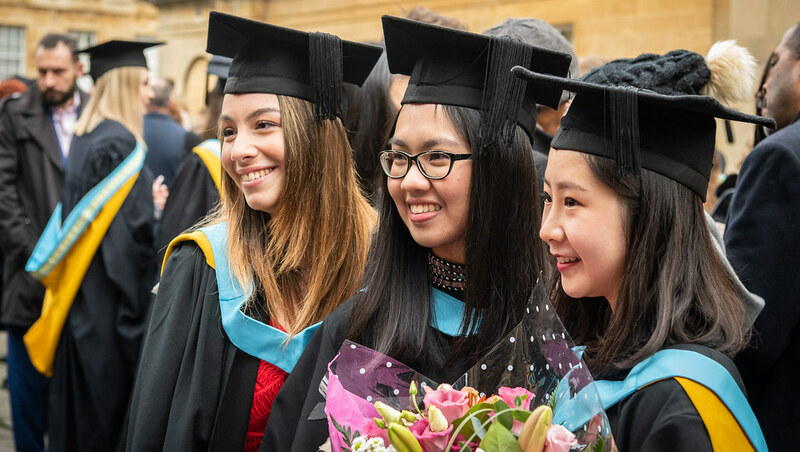 The timings of the graduation award ceremonies taking place on 9, 10, 11 and 12 July 2019. Find out about bringing guests, what to wear and what to do on the day of your ceremony. Information about bringing guests, what to wear, how to get to your ceremony and where to stay. Where to be and when, how you get your gown and have photographs taken, and what happens during your ceremony. How and when to apply for guest tickets for your family and friends. Information on graduation venues and how to get there. The 18th century rooms in the heart of Bath are the venue for the University's Winter Award Ceremonies. 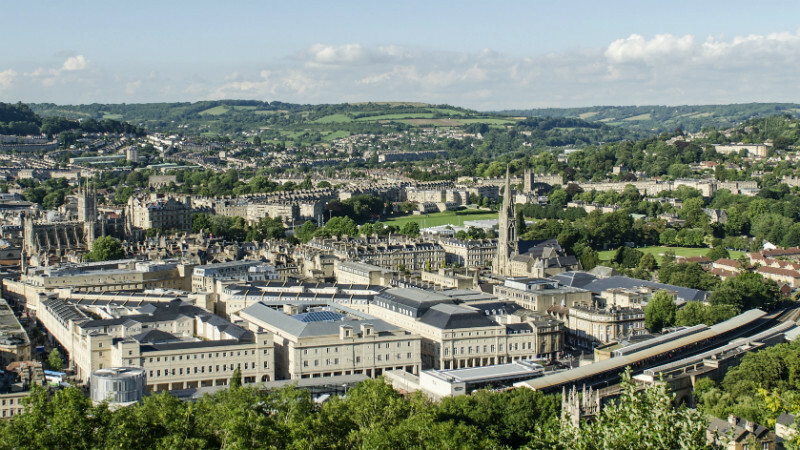 How you can get 20% off rail travel when coming to Bath for Open Days, Applicant Visit Days and graduation ceremonies. Information for staff processing at the award ceremonies this July. 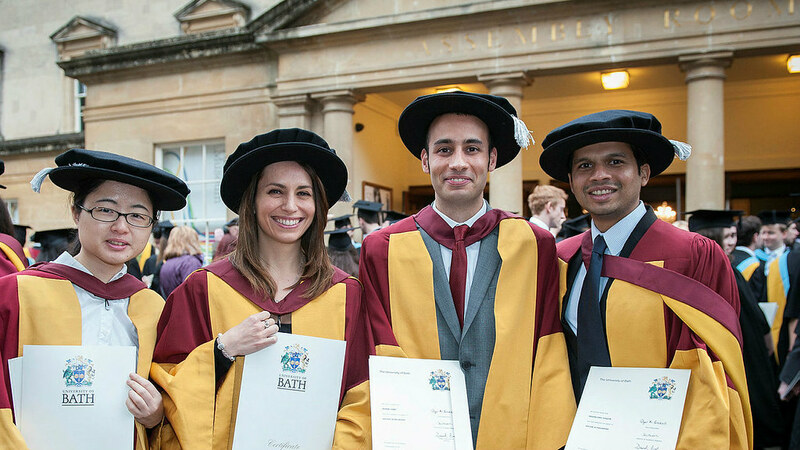 How University staff can register to process in an award ceremony and hire academic dress. Download and print information for staff about the summer award ceremonies. Watch videos and view photo collections from previous graduation ceremonies. 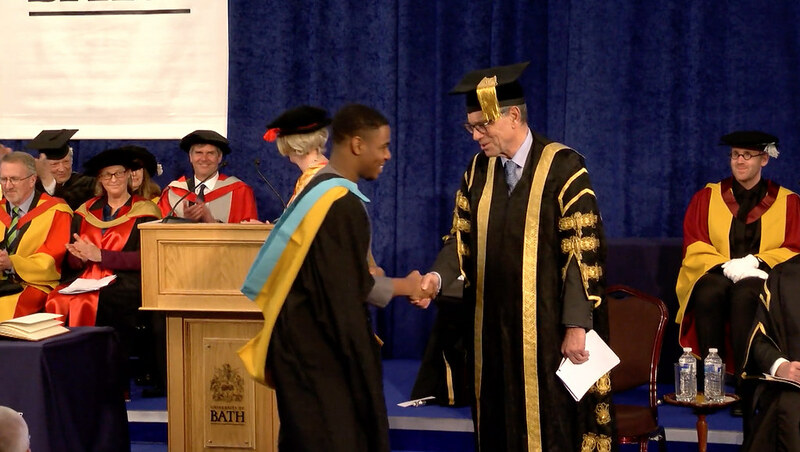 Visit our Vimeo channel to watch the video of your graduation ceremony. 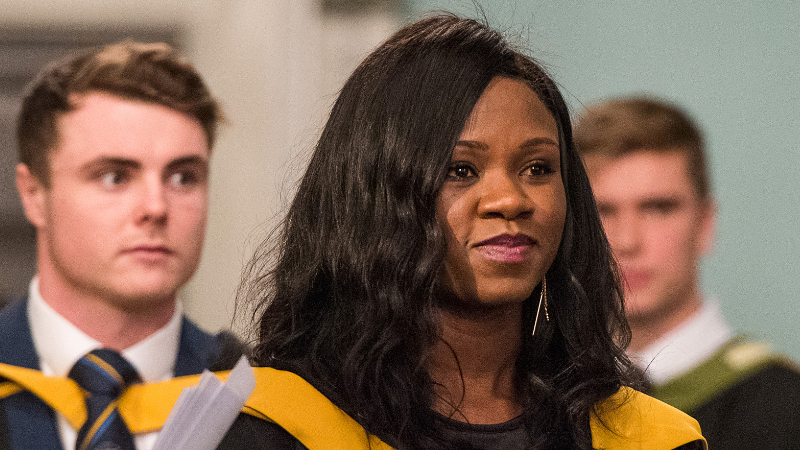 Visit our Flickr channel to view the photos of your graduation ceremony. Check the dates of future ceremonies. Confirmed dates and locations for future award ceremonies. Join in the excitement of graduation. Share your day and celebrate your success with your family and friends on social media.